PRESS RELEASE: Race FaceThe places we come from help guide the places we go. Over twenty five years ago, Race Face was born from the imagination and creativity that shaped the wildest features of Vancouver’s North Shore. An idea was unearthed on trails that made us feel alive. A challenge. A call to something larger than ourselves. Here in the playground of the Coast Range, we created a legacy of doing things our way. Cranks crafted in the backroom and proven in the backyard. R&D done every damn day. Every trail delivering a new design tweak. Every moment spent on dirt embedded into the very fiber of our cranks. And we continue to forge towards what is next. We were raised in these mountains. We still live, work, and dream in this space. Race Face is within spinning distance of B.C.’s best single-track, and we build every Race Face carbon crankset by hand, right here. Where we were born. Introducing the new Race Face Next SL - proudly handcrafted in Vancouver, B.C. Our trusted and performance-driven Next SL crankset has been refined with improvements in its carbon layup and manufacturing process that delivers an increase in crankarm stiffness for precise power transfer. The strength of the new Next SL crank arms is off the charts while achieving a modest reduction in weight over the previous version. Plus, you can run the new Next SL (and all RF Cinch System cranks) with the Shimano 12 speed drivetrain when using our new Cinch Direct Mount Shimano 12 Speed Compatible 1x ring. 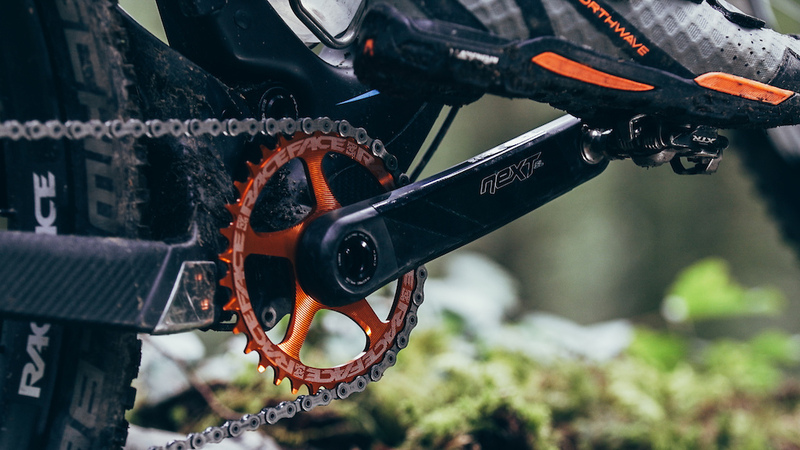 The Next SL crankset continues forward as the benchmark for XC + Trail crank performance, a testament to the history of Race Face following its own path, creating industry leading product focused on you, the rider.